A bill currently awaiting Oregon Gov. John Kitzhaber's signature could radically change the way in-state public university students pay their way through college. If signed into law by Kitzhaber, the bill would require the state's higher education coordinating commission to study, and if deemed feasible, submit a pilot program to the general assembly in 2015 for approval to test out the concept. If adopted statewide, the program comes with a price tag of $9 billion, although it would likely be years before all Oregon students could benefit from the program. The program would be the first of its kind. 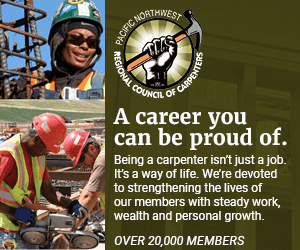 It owes its origins to an October 2012 report from the Washington state-based Economic Opportunity Council, which focuses on middle class issues. The percentage of income paid back would vary based on the type of institution attended but would be in the neighborhood of three percent. In the long run, Economic Opportunity Council Executive Director John Burbank has said that the program would become self-sustaining. "When they graduate, then they start to pay into, through the contributory system, into pay it forward," he said in a radio interview in Vermont while promoting the plan to a number of states. The program would start small and add more and more students into it over time, Burbank said. -- CNN's Shawn Nottingham contributed to this report.